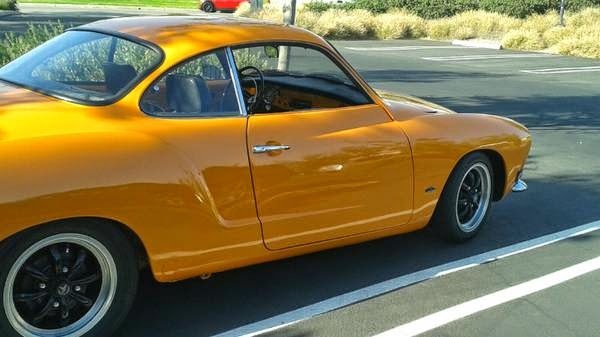 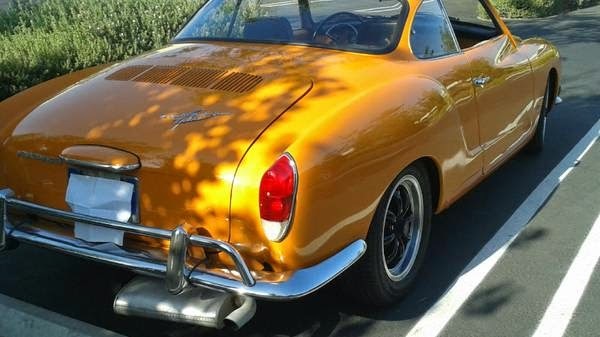 Buy Classic Volks – Karmann Ghia coupe for sale in Los Angeles, California. 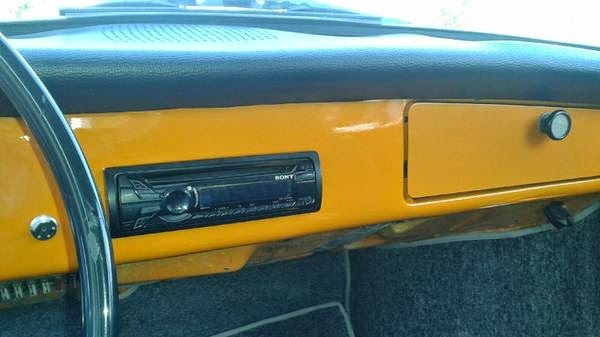 Year construction in 1970, very good condition, autostick transmission, 1600 single port engine, (engine and transmission work great) runs strong, New paint job (original color, signal orange). 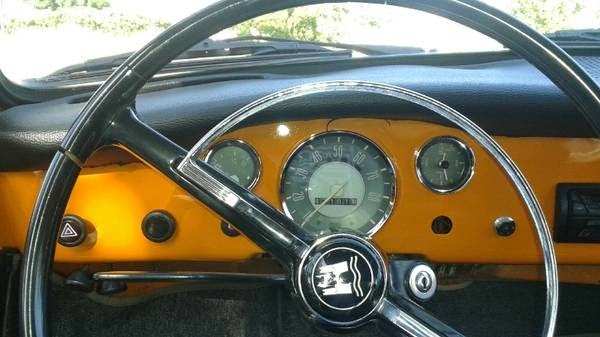 NO rust, NO dents, NO scratches, clean front end (never been wrecked), new window rubber, new gas tank and fuel lines, new breaks, new break calipers, new master cylinder and break lines, new shocks, new suspension bushings, new steering stabilizer and damper, new alternator, NO leaks, new main seal, new axle seals, new kuhmo tires, lowered front end (drop spindles)8spoke wheels, too much to list.. 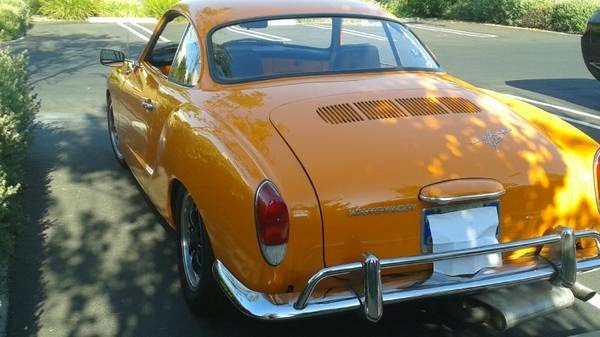 This entry was posted in 1970, Closed, Ghia, USA, Volkswagen and tagged Volkswagen Karmann Ghia on June 23, 2014 by buyclass.